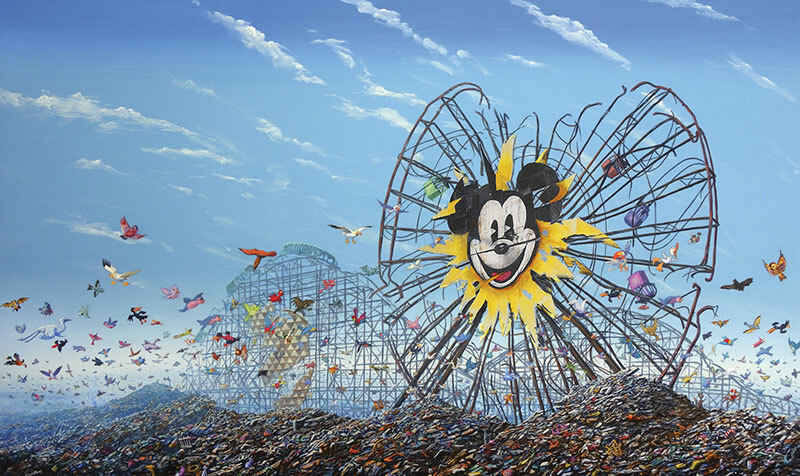 Before Banksy's life-size "Dismaland" bemusement park, there was Jeff Gillette's "Dismayland" which he first used in 2010 to describe his expansive series of paintings and assemblages depicting Disney structures and characters in a post-apocalyptic third world wasteland. 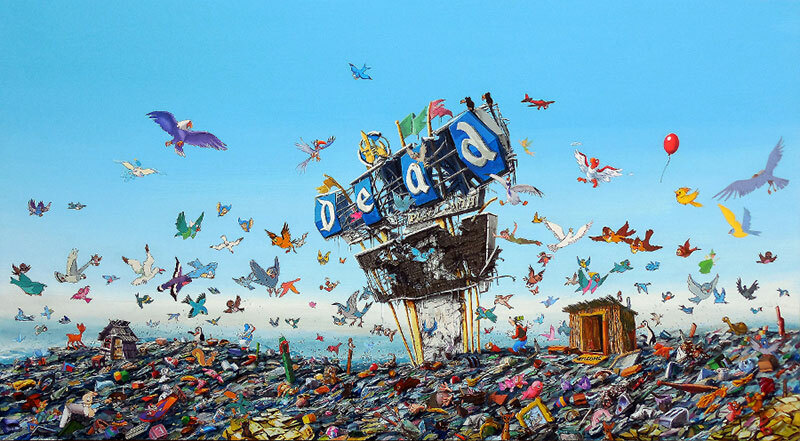 The works were inspired by his visits to third-world slums as a Peace Corps volunteer in the late 1980s experiencing urban blight in North Africa, Southeast Asia, Central and South America, Mexico and Bangladesh. 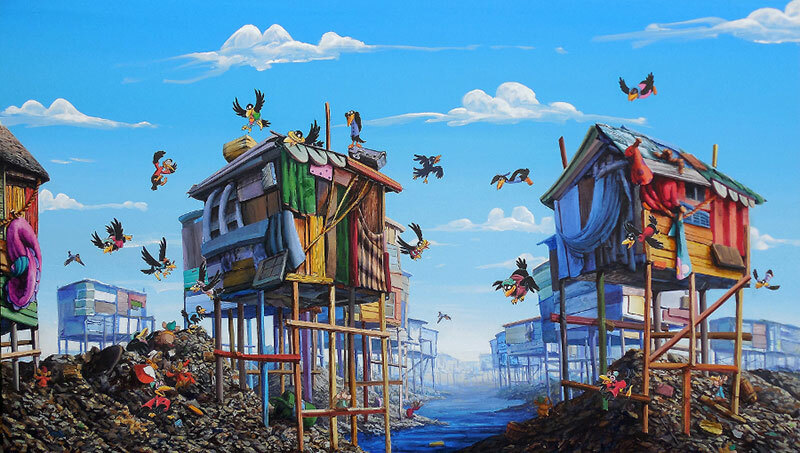 Gillette describes the slums as "having the most horrible living conditions on Earth," but he is attracted to the survival mentality of the people living there and the fundamental architecture. 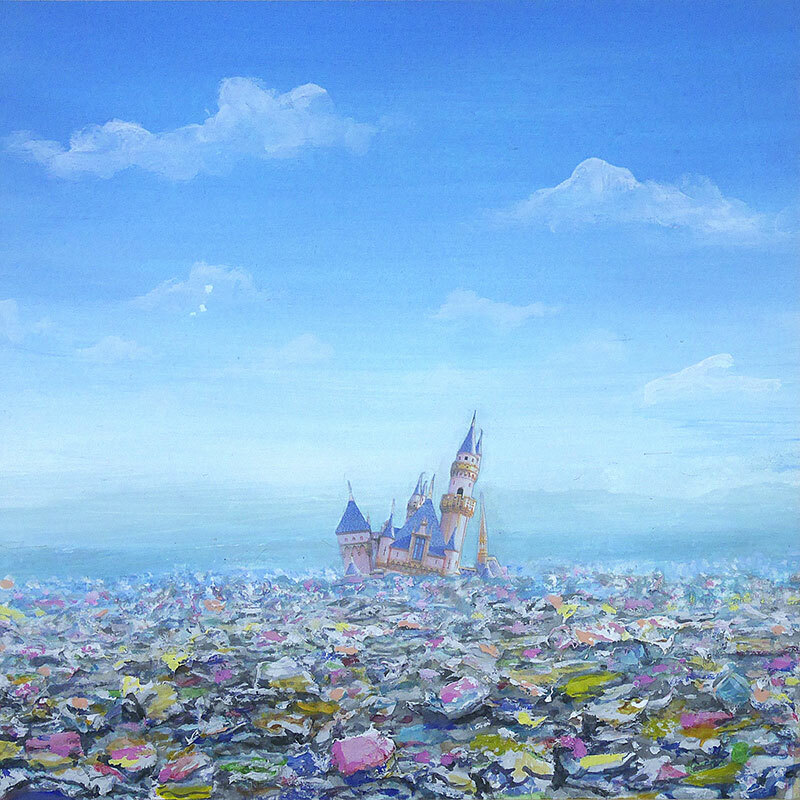 When he moved to Orange County in the early 1990s, living and working in the shadow of nearby Disneyland in Anaheim, the country's obsession with Disney culture inspired him to add the characters to his paintings and assemblage pieces of slums and eventually segueing to archetypal Disney buildings in his attempt "to find the absolute opposite of the happiest place on Earth." Aside from the seething humanity, the suffering, the unfairness and cruelty of the slum is a strange beauty. 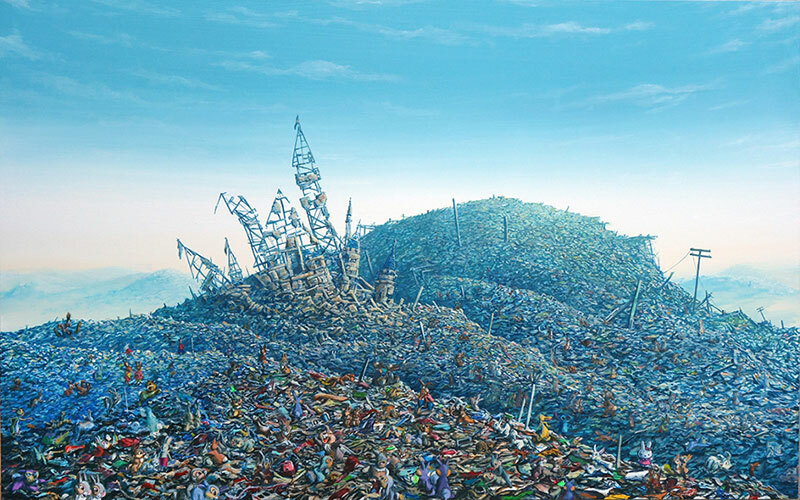 The cacophony of filthy debris rising from oceans of garbage comprises an architecture of depravation and necessity. 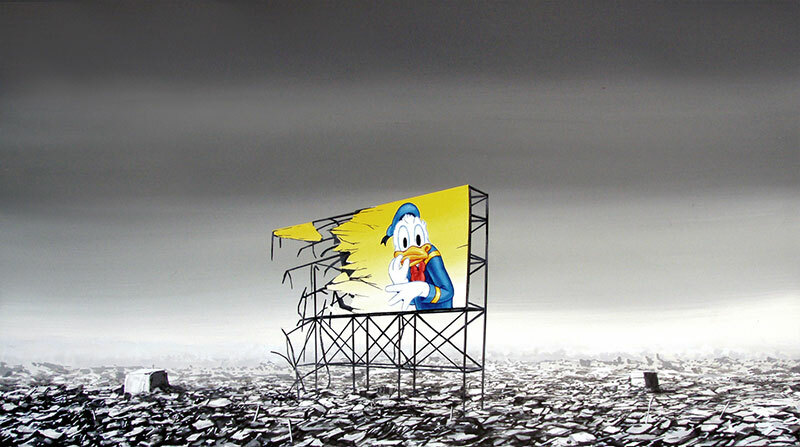 What emerges is a living environment of aesthetic wonder, spectacular visuals of space, color, form, and texture. 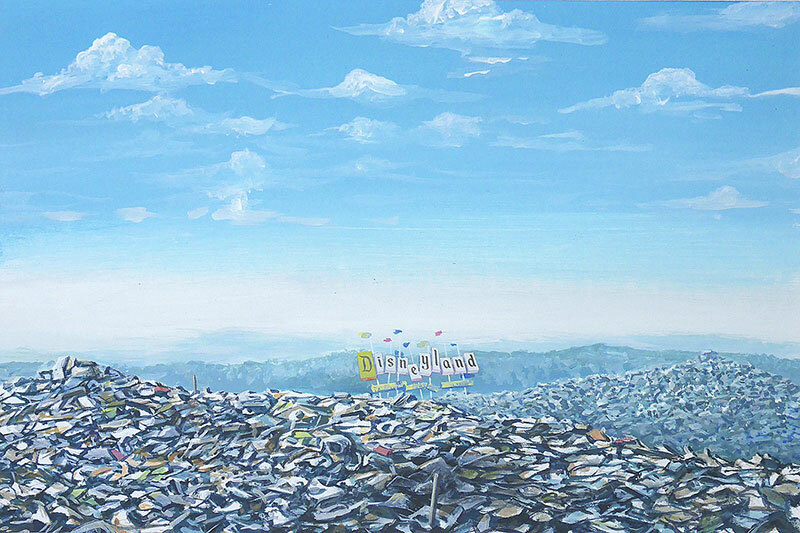 These images, I re-create in the all too-realism of my “slumscape” artwork, in drawings, paintings, sculptures and installations. 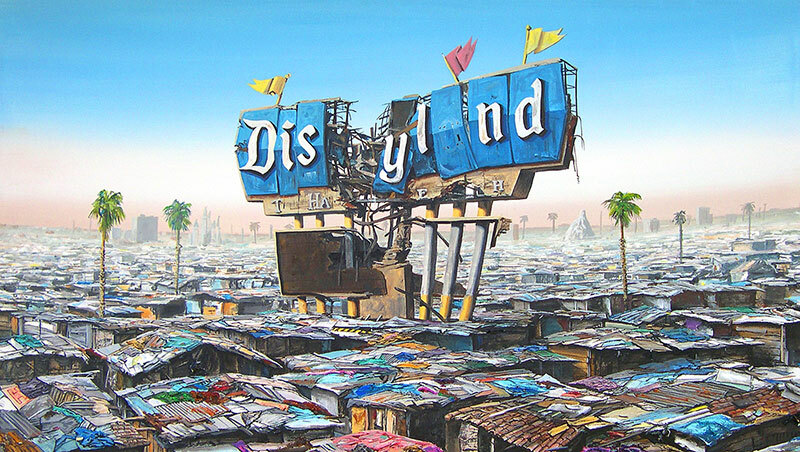 Before Banksy's life-size "Dismaland" bemusement park, there was Jeff Gillette's "Dismayland" which he first used in 2010 to describe his expansive series of paintings and assemblages depicting Disney structures and characters in a post-apocalyptic third world wasteland.